1) Cerveceria Del Valle Sagrado has fast become one of the most talked-about breweries in Peru…And you were just recently awarded the “Best Brewery in Peru” at the prestigiousLatin American Cup of Craft Beer. With that kind of international acclaim, you could be talking with any number of “credible” journalists. So why in the world did you ever agree to be profiled by us? What were you thinking? Who knows? I clearly have a lot of extra time on my hands to fill with silly things like this. I think we’re a bit confused about this as well at times. I grew up in DC and was most recently brewing out in Eugene Oregon, so I’m a full “gringo” living down here in Peru. My partner Juan Mayorga however is a Peruvian who lived in the USA for about 20 years, so you have it right. 3) People travel to Peru for all kinds of reasons but craft beer isn’t the first one that comes to mind….What inspired you to bring your craft to the Sacred Valley. Wasn’t that Amazonian hallucinogenic, Ayahuasca, enough of a draw? Until about three years ago there really wasn’t much going on in the realm of craft beer in Peru, and that was part of the appeal to me for sure. I first visited the Sacred Valley outside of Cusco about 13 years ago, and this incredible part of the world and a love of adventure never escaped my mind. This has been an unbelievable opportunity to witness and help mold the growth of a really radical beer scene that is exploding right now all over Peru! So he decision was kinda a no brainer, and, yes, the native plants are really intriguing as well…J. 4) Let’s get serious for a moment…Tell us about Cerveceria Del Valle Sagrado. 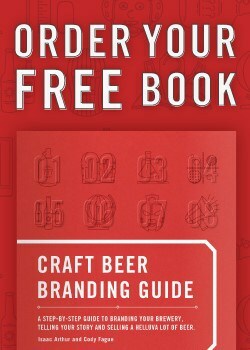 What’s your brewing and marketing philosophy? What defines the Sacred Valley Brewery? Well if you were to visit the brewery you would see right away that we are directly linked to our location in the heart of the Andes Mountains. We are near the end of the road so to speak on the way to Machu Picchu, an area steeped in rich culture and incredible views. My goal is to brew interesting beer of quality, which pushes the limits of what people expect beer to be these days in Peru, and at the same time providing travelers with styles and flavors that they miss or have never experienced before. We just want to have fun, respect where we live and ooze passion for the many gifts that beer can give at all times. As you guys at ACB already know, beer can send you on a pretty incredible journey you never saw coming. 5) How many year-round and seasonal beers do you presently brew? And what’s your take on collaborations and special releases? We currently have three core standards, Inti Punku IPA, Ayrampo Red, and Chicha Pils. We also rotate six or more one-off seasonals, ranging from Maracuya Saison, to Sandia Gose, to Chocolate Lucuma Porter. Since we are pretty isolated up here, (No local bottle shop for days!) I try to keep a high diversity of beer styles on tap for my own sanity. There are so many amazing and unique ingredients available in the markets in Peru that the only limitation on what beer to brew next is the extent of my own creativity… It’s sometimes overwhelming! We love doing collaborations! I’m super lucky to have paired up with a number of awesome brewers in Peru to make some delicious beer. Now that you mention it, I am currently working on a line of Brett beers in bottles, only released at the brewery in limited quantities. Everyone has a “house beer”- a beer that’s their staple at home – What’s yours? It all depends on what I can get my hands on. Usually a fresh Inti Punku IPA.